Mr. A T , aged16 years ,student of 12th Std had difficulty in writing, buttoning and unbuttoning of shirt and grasping of objects with his right hand since last 2 years. During writing he had pain and spasm and he had to take break while writing. His handwriting has changed drastically over a short period of time. In the beginning the frequency of spasm of right hand was 1-2 per week, but now as soon as he starts writing his hand goes in spasm. He has undergone botox treatment thrice at different times, but got no relief. On examination he was found to have dystonic positioning of right upper limb fingers associated with eating, drinking and while buttoning. He has no walking difficulty. His general examination was normal. Apart from the findings of secondary dystonia the neurological examination was also normal. The Burke Fahn Marsden Dystonia Rating Motor Score 6 (max 120), The disability Score was 5.5 (max 29). Though his symptoms were predominantly pointing towards writers dystonia, the fact that they were present with other tasks leads to think in terms of focal upper limb dystonia. In view of this we discussed with the family the option of GPi DBS/ GPi lesioning. They felt that DBS would be a more appropriate solution. 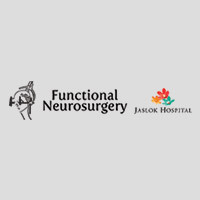 He underwent Unilateral left GPi Deep Brain Stimulation on 11th June 2016 at Jaslok Hospital. Post surgery there was good improvement in handwriting & while performing other activities like buttoning and unbuttoning of shirt and grasping of objects with his right hand.